Adam Urquhart Nursing students treat injured victims at one of the four stations. Adam Urquhart Nursing students treat injured victims inside the intensive care unit. Adam Urquhart Students from the four different teams respond to victims injured in the mock chemical explosion. Adam Urquhart Victims walk through a decontamination station set up by the Nashua Fire Department to wash off chemicals during the mock disaster exercise. 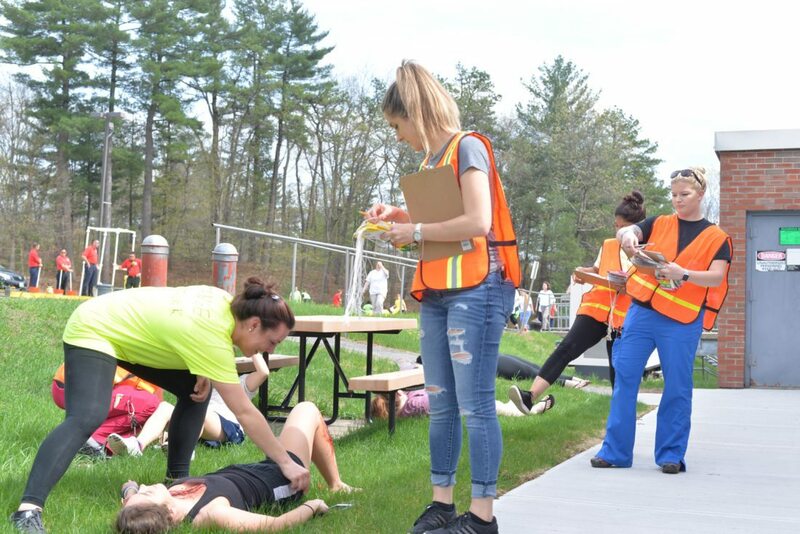 NASHUA – With a focus on experiential learning, Rivier University prepared graduating nurses to manage large-scale emergency events in a mass casualty training exercise Friday afternoon. 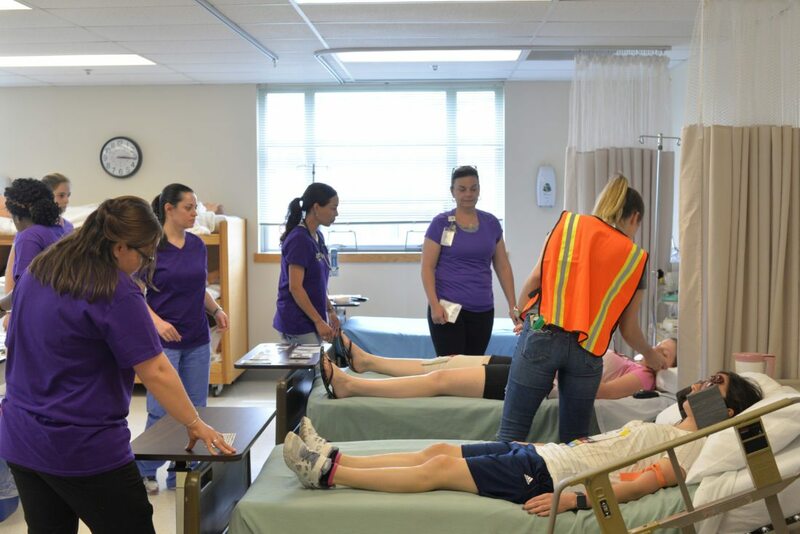 Rivier University’s Nursing and Health Professions Division conducted the mock disaster exercise, offering a unique teaching opportunity that simulated an explosion in the school’s chemistry lab. 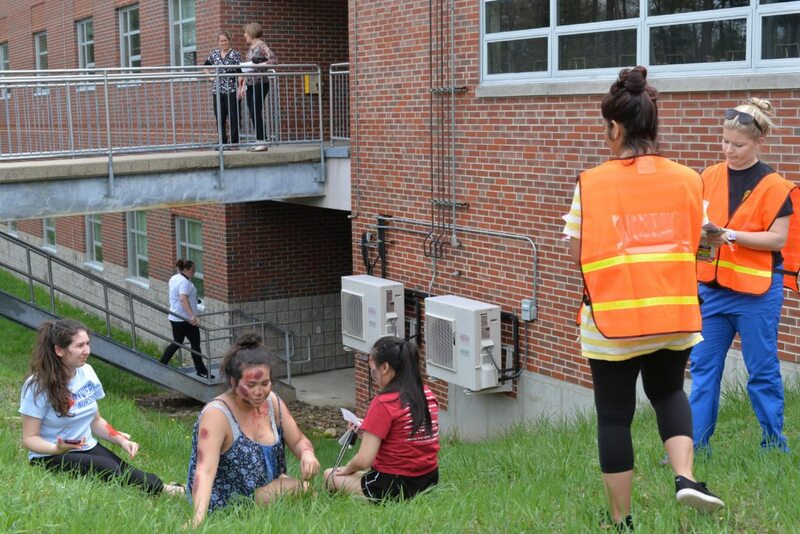 In this mock exercise, students responded to treat dozens of “injured” people. Event coordinator for the past three years, Patricia Hagan said this is their third exercise that the graduating nursing class of their associate degree program are conducting, and it’s a culmination of everything they’ve learned this semester about caring for victims of trauma. Hagan said students receive a course in Chemical, Biological, Radiological, Nuclear and Explosives (CBRNE) where they learn to care for patients exposed to those elements. She said they also learn how to triage patients by their acuity and injury. This year’s triage officer for the mock scenario was Ashley Lavin. 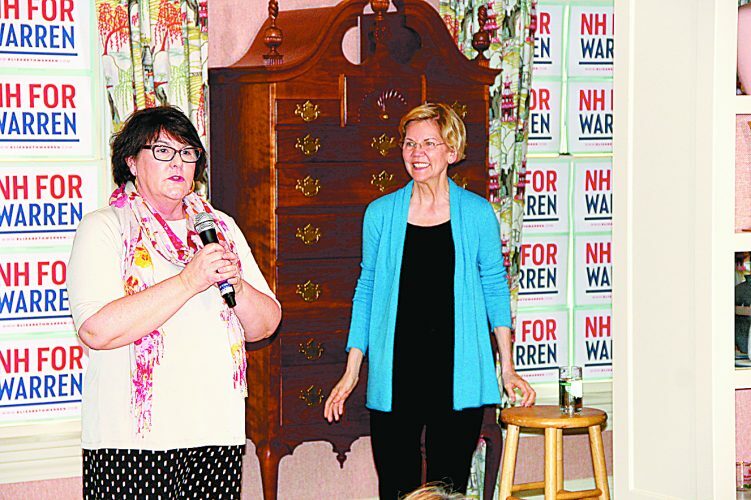 “We put it (triage) in the curriculum because, unfortunately, it’s a response to the last decade or so of mass casualty events, whether they were either natural or manmade,” Hagan said. The mock traumatic scenario students underwent was an explosion of the chemistry lab. Students acting as victims had their makeup done to show different injuries ranging from wounds to the head to compound fractures. 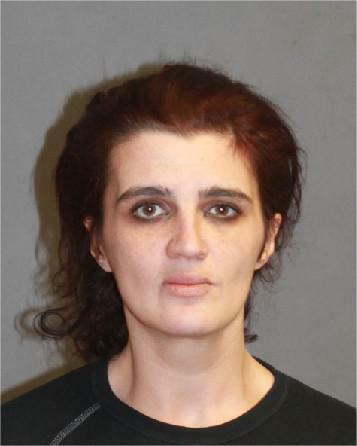 “The triage officer individually triages each victim and they will be sent to one of four categories,” Hagan said. Those categories are walking wounded, expectant (those expected to die), delays (people that have injuries but can be delayed if they’re stabilized, and immediates (victims with life threatening injuries). 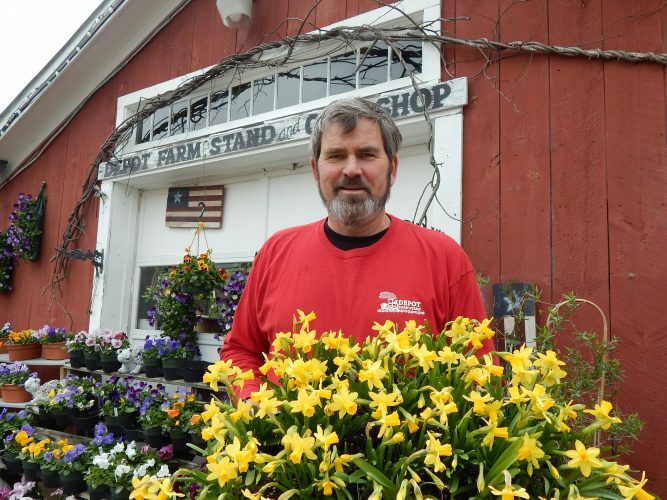 “They’re graduating next week so this is a wonderful way for them to finish their career in this program and it allows them to practice teamwork,” Hagan said. Participants were split into four teams for each of those four categories. She said triage is dynamic, so the victims might have a change in their category, or change in their status, giving students an extra added challenge. 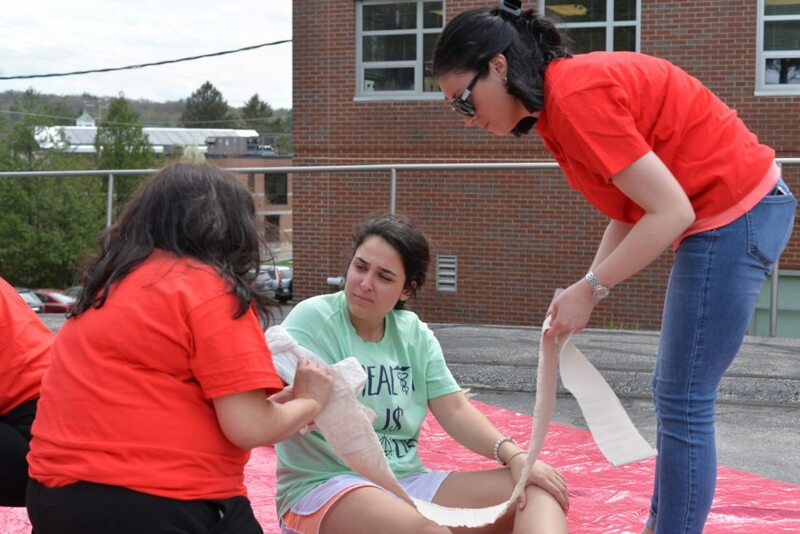 A total of 40 nursing students participated, and the victims were fellow nursing students, fellow Rivier students and high school students from Londonderry High School and Alvirne High School. 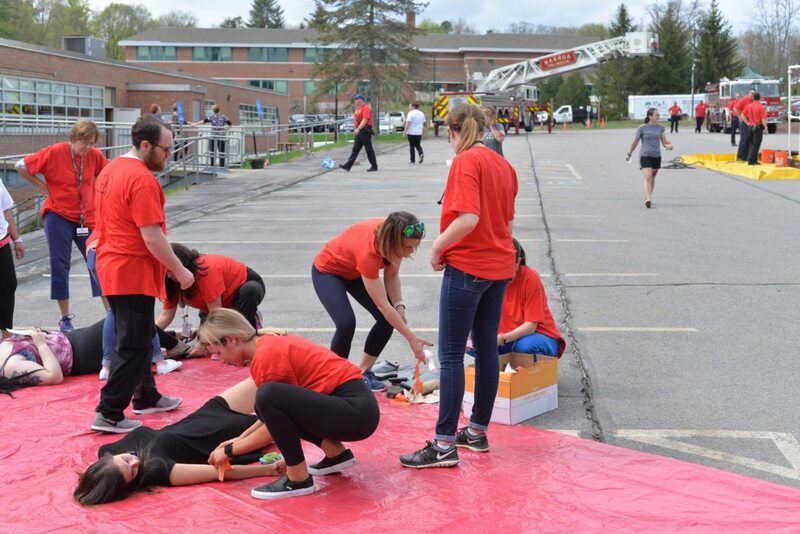 Firefighters from Nashua Fire Department were present for the exercise, doing decontamination, because being a mock chemical explosion, victims had to wash off the “chemicals” before making their way to one of four tarps laid out for the four categories. From there, some victims were then led inside Sylvia Trottier Hall to be treated in their operating room or intensive care unit. One victim went into a mock early labor during the event, adding another challenge for students. Hagan said she hopes to get more nursing students involved next year. “We were the first ones to do it in the United States,” Hagan said. 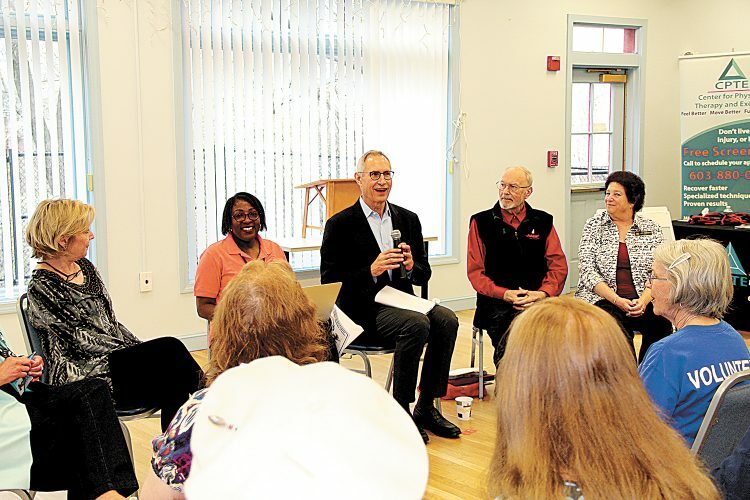 Since becoming the first school to offer this program in the country three years ago, other nursing schools have introduced their own programs. 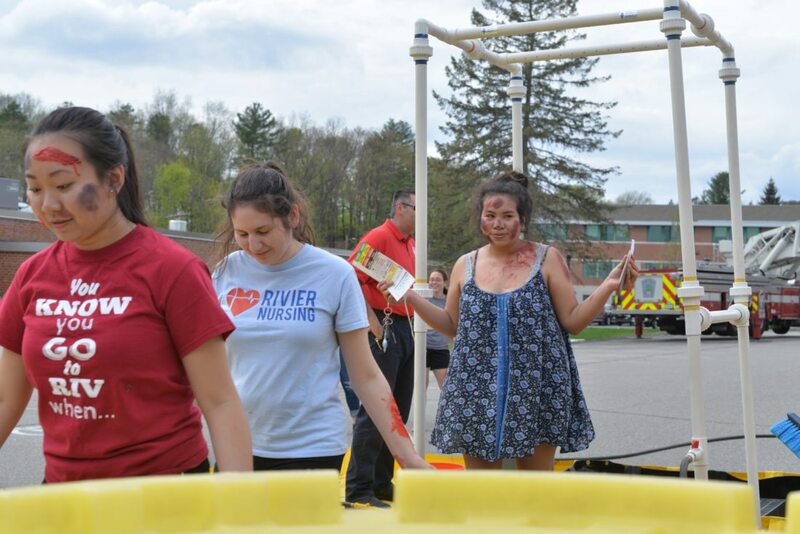 Now that those nursing students have gone through this mock disaster, they’ll have Rivier’s Commencement ceremony to look forward to on May 12.